No matter what anyone tell you NHL Hockey still struggles to draw in viewers on a consistent basis, but that could change if the NBA strike drags on. 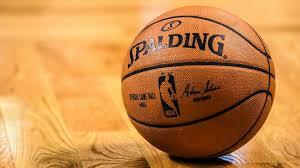 Most people think that the NBA season could be canceled and if it is that would be a boom for the NHL. Basketball fans need a sports fix and the most logical choice will be the NHL. Some will not turn to the NHL, but I think more and more people will as they want something to watch. The NHL product has gotten better and this would be a chance for them to grasp a wider audience who hate strikes. If the NBA strike goes for a long time NHL could get the revival in the states that they have wanted for a very long time. It will all hedge on the length of the NBA strike. If it goes a long time the NHL will benefit the most that's for sure.